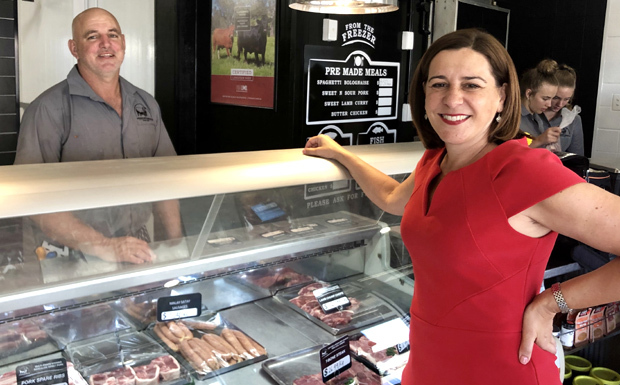 The LNP has called on the Palaszczuk Labor Government to implement retail competition in regional Queensland in light of the recent findings by the Queensland Competition Authority. The QCA Report reveals regional Queenslanders are paying around $89 more per quarter than southeast Queensland households. It highlights what we already know, that the benefits of competition in the southeast corner means those customers can shop around for the best offer. Southeast Queenslanders have up to 20 retailers to choose from, but regional Queenslanders have just one. This means we are missing out on hundreds of dollars of savings. 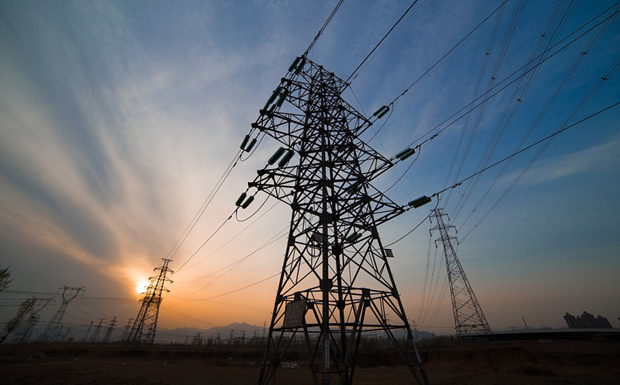 Annastacia Palaszczuk needs to stop treating regional Queenslanders as second-class citizens and adopt the LNP’s policy of introducing competition into the regional electricity market. Based on the experience in the southeast, introducing choice for customers in regional Queensland will reduce electricity bills by hundreds of dollars a year. 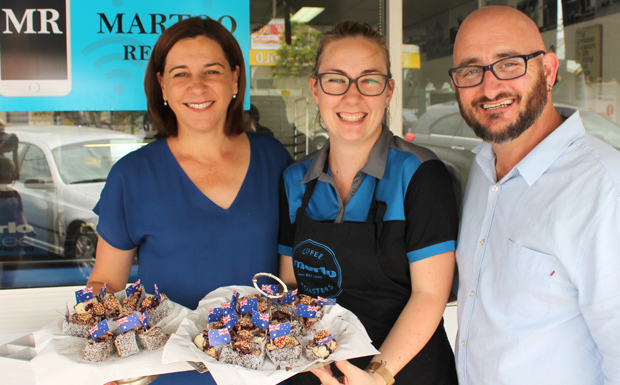 If elected, the LNP will introduce retail competition into the regional electricity market and end Labor’s divide between the southeast and the rest of Queensland. There was so much to see and do in the South Burnett on Australia Day! 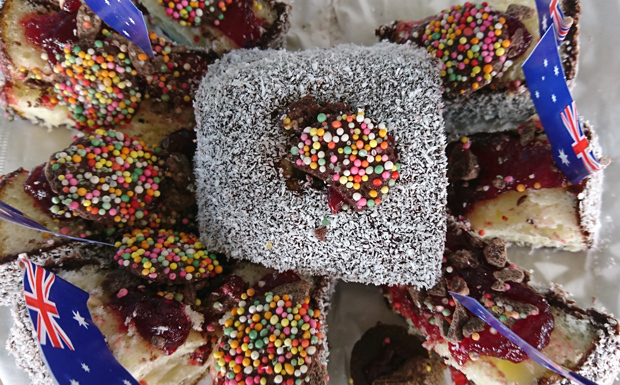 It was an honour to open the Kingaroy Swimming Club’s annual swimming carnival, join in community celebrations, enjoy live music and soak up the atmosphere of the Kingaroy Speedway, not to mention the ‘Freck-Lamington’ created by Damo Martoo of the Martoo Review and ‘Bake My Day’ Bakery in Nanango. We had lots of fun handing them out on Australia Day! Check out this smiling face! This is Mysty of Blackbutt at the Brisbane International Tennis tournament in Brisbane in early January. Mysty was our winner of two tickets provided to the Nanango Electorate courtesy of Tennis Queensland. 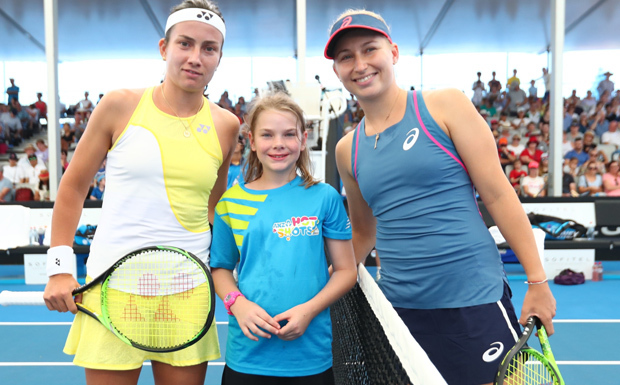 She was offered the chance to do the coin toss between Anastasija Sevastova and Daria Gavrilova. Looks like she had a great time! Well done Mysty! Over the past few months I have been running a Christmas colouring-in competition. 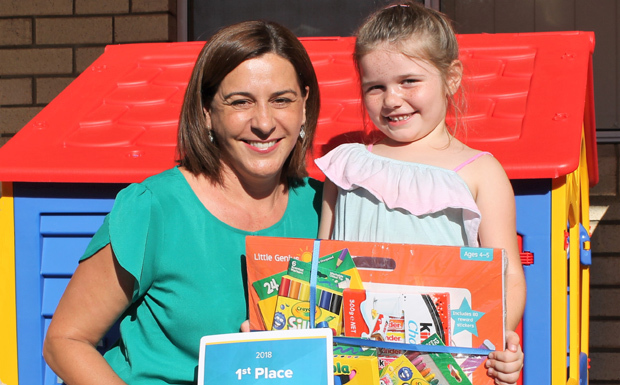 It was a Queensland wide competition, and the amount of entries we received was quite overwhelming. 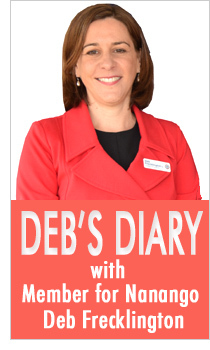 So I was very excited to announce that the winner was from Nanango. A big shout out and congratulations to Sapphira for her prize winning entry! Come See Me At My Mobile Office! On January 18 I held mobile offices in Blackbutt, Yarraman and Nanango to meet with locals and hear about current issues. In Yarraman, it was great to meet Brad Frohloff who has re-opened and renovated Frohlie’s Meats in Yarraman. I’ll be holding more mobile offices over the next six months, but don’t forget if you have a State Government issue you’d like to discuss with me, you can contact my office at any time to make an appointment. Please call 4190 7100 or email my office. Did you receive my 2019 calendar distributed in early January? Please ring my office on 4190 7100 if you didn’t receive a calendar, or would like more copies. This year my calendar features a great aerial photo of Somerset Dam, taken by the South Burnett’s own Denise Keelan.